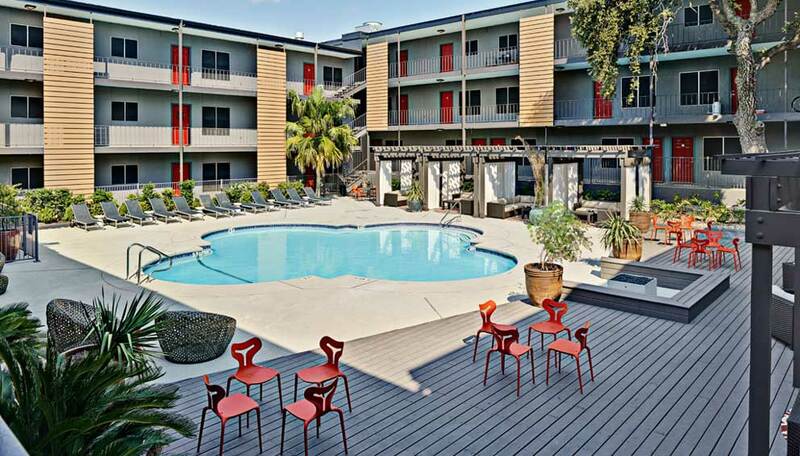 2WR was hired to assist in the renovation of the Red River Apartments in the role of Architect of Record. 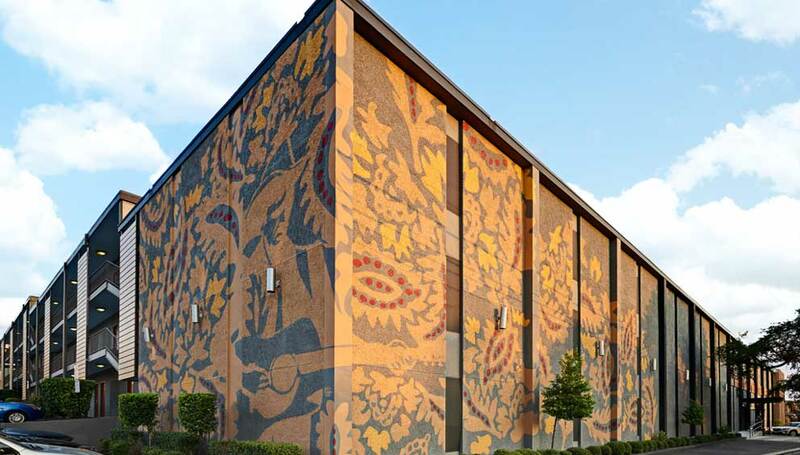 The existing building was located less than a mile from the campus of the University of Texas, and if updated, offered the opportunity for strong occupancy performance. The renovation consisted of full furniture, fixture, and equipment replacements in the public spaces as well as modifications to the individual apartment units. Additional spaces to be modified in the renovation included the exterior skin, exterior courtyards, business center, and leasing office. Wood paneling and paint was also added throughout in order to make the exterior more appealing. 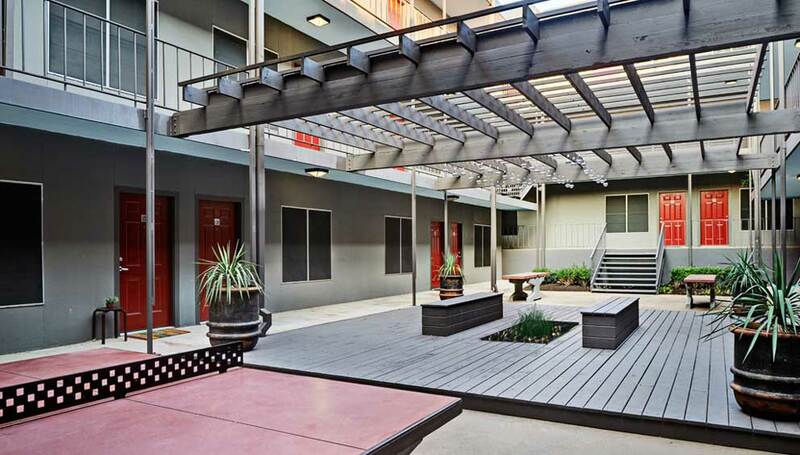 An outdoor trellis, BBQ areas, decks, and cabanas were added in the courtyards for the residents.